If you’ve ever been out on the water for an extended period of time in a closed-style kayak, you may have realized it isn’t always the most comfortable situation to be in. You might feel cramped or notice your legs or feet fall asleep. 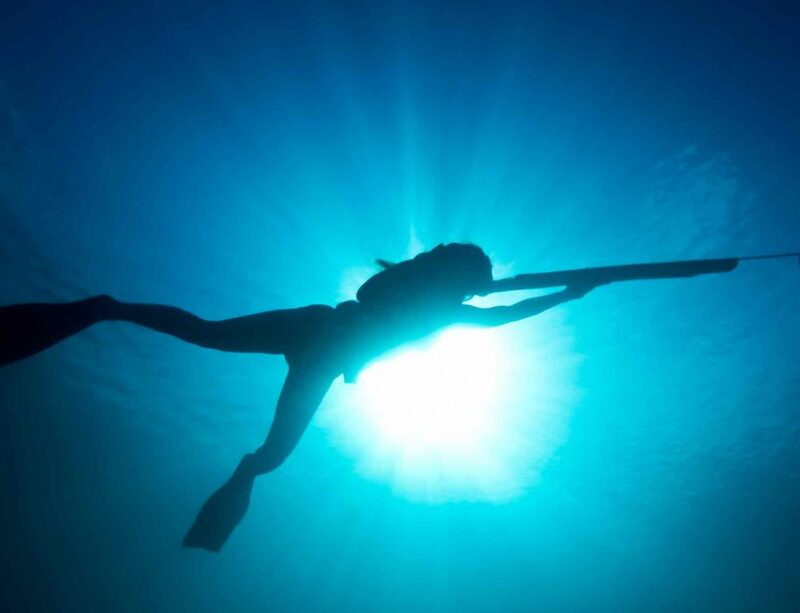 Rather than deciding that kayaking isn’t right for you, there is an alternative that lets you enjoy the water without that cramped feeling. With a sit-on-top kayak, you get the fun and the excitement of kayaking, but you also get a larger amount of room. 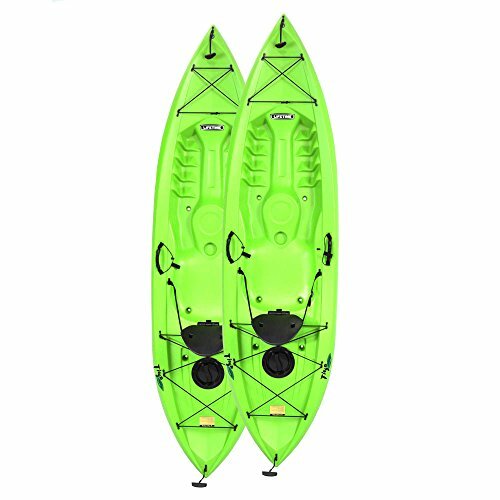 Those who like to do kayak touring often choose this design since you have much more movement while going over a large distance. 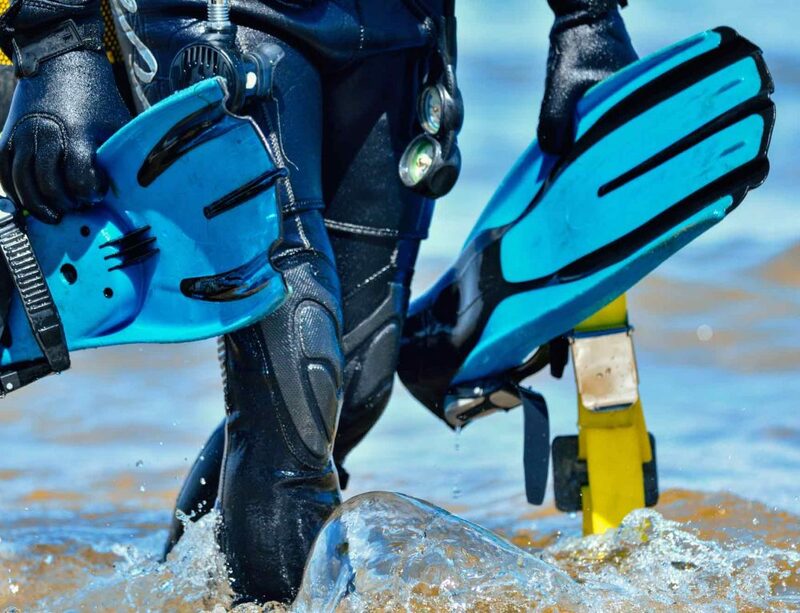 They also tend to be easier to get in and out of and can be more durable than an enclosed kayak. We know how much trouble it can be to find the right kayak for your needs, so we put together a list of the 10 best sit-on-top kayaks on the market and what you need to know about each of them. We’ll also offer some insight on choosing the kayak that fits your lifestyle. The Malibu is a large tandem kayak that can hold one person, two people, or even two people along with a small child. It has a 425-pound capacity and is 12 feet long. There isn’t an overly large amount of space for storage but there is room for a dry bag. Unlike many other tandem sit-on-top kayaks, this one isn’t overly heavy at only 58 pounds. For a tandem kayak, it has reasonable tracking and good stability with a width of 34 inches at its widest. While it isn’t the speediest boat, it also isn’t really made for that purpose. It can move quickly enough to get the job done with two paddlers atop it. It’s also easy to convert from tandem to a single person kayak. There are three sets of foot wells so a seat can be used in the center which makes paddling solo simple. As far as tandem sit-on-top kayaks go, this is one of the best you will find. The fact that it can convert to solo is the icing on top of the cake. This takes it from being great for specialized use to being just as useful for solo everyday boating. The versatility is a perk if you sometimes paddle alone but enjoy having company sometimes, too. If what you want is a fishing kayak, the Perception Pescador is a great choice. 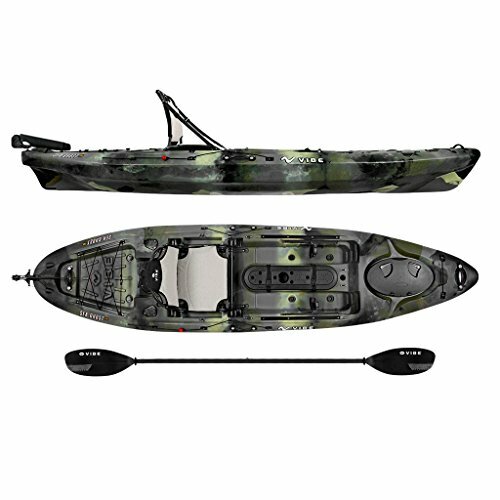 It’s 12 feet long and designed specifically for those who want to do some fishing, With a width of 32 inches, this is a stable sit-on-top kayak that can fit all your gear with ease. It also has a weight capacity of 375 pounds which is likely enough space for extra gear if you’re staying out overnight. The vessel is made from polyethylene and has two-rod holders along with space for a paddle to be stored while you fish. Dry storage is available in front of and behind your seat to keep things like your phone and wallet dry. There’s also a large cargo deck toward the back to hold your bag and other items. There is also a tackle box storage area and a gear track along with a cup holder for extra convenience. 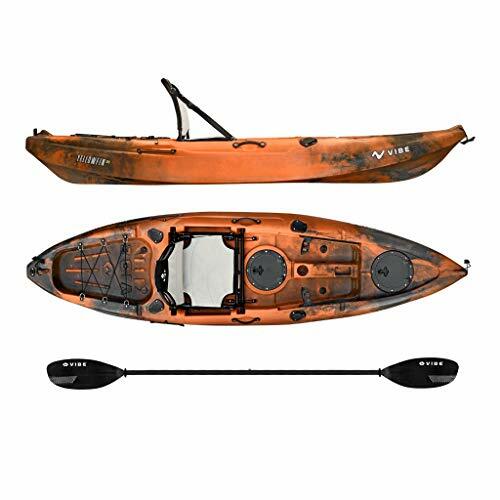 This is a great choice for someone new to fishing by kayak as it has plenty of room and the stability you want. It’s also relatively easy to maneuver when on lakes and rivers, as well as other waters that aren’t extremely wavy. The Ocean Kayak Prowler is 13 feet long and designed for use in kayak fishing. It has both speed and efficiency with all the fishing features that you could want. The kayak is versatile for fishing in all sorts of conditions, from rivers and lakes to bays and oceans. This boat is 28 inches wide, which is a bit narrower than most other fishing kayaks. The size makes it more efficient and hydrodynamic, so it works well when paddling longer distances. You’ll have plenty of storage with the Prowler, which offers a large storage hatch on the bow that keeps your gear nice and dry. There’s also a small hatch in front of the seat for things like keys and your phone. Behind the seat is a larger cargo area that can accommodate tackle boxes or a cooler. In addition, there are paddle holders, a cup holder, and rod holders. 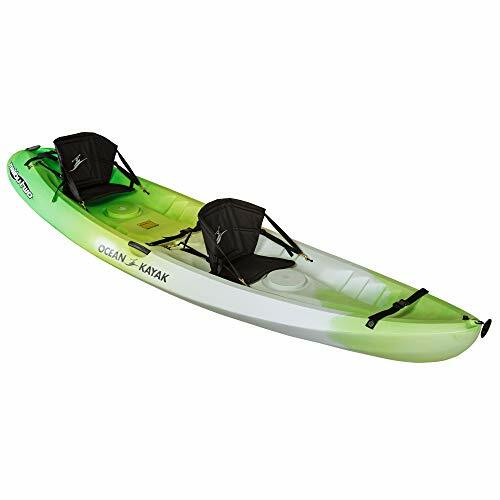 The seat for this kayak is adjustable in four ways and has durable nylon on top which is resistant to UV rays. While many fishing kayaks are fairly heavy, this one is only 56 pounds, so it isn’t overly difficult to move in and out of the water. However, it is fairly long, so you want to be sure you have room to transport it on your vehicle. 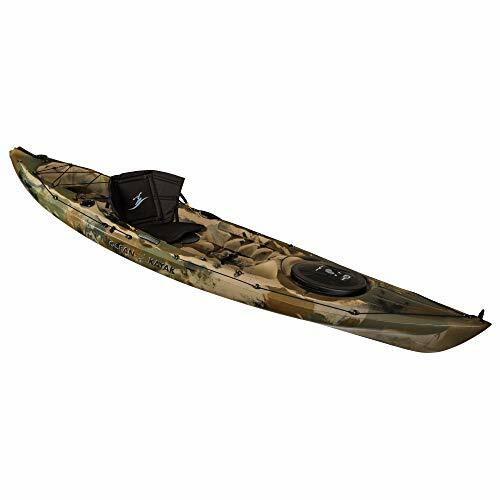 The Old Town Vapor Kayak is roomy and offers a padded seat which makes it comfortable when using for long periods of time. You can also make adjustments to the seat to ensure the best possible experience. There are also padded knee and thigh braces along with foot braces that can be adjusted to offer you the optimal paddling potion. There is a lot of storage space in the stern dry well which sits high up to avoid water coming inside. The paddle rest is also molded one for convenience. There’s also a beverage holder and cockpit tray to make the cockpit even more comfortable, especially considering the price for the kayak. The kayak is made of polyethylene and is non-foldable but it’s lightweight and has a reasonable length for simple transport, storage, and movement. Each end has a carrying handle. The hull is sturdy and easy to clean, making the maintenance for this boat a cinch. It also has a nice balance in the water and it tracks better than you might expect. One of the most important aspects of a kayak for fishing is how comfortable the seats are. With the Sea Ghost by Vibe Kayaks, you get the Vibe Hero seat which is super comfortable and has dual positioning. There’s also comfort for your bottom and lumbar support to support your back. The seat is made of a mesh fabric, so you don’t have to worry about it getting wet and staying that way all day long. The construction of the Sea Ghost is high-quality which means it works just as well on rough ocean waters as it does on a calm lake. 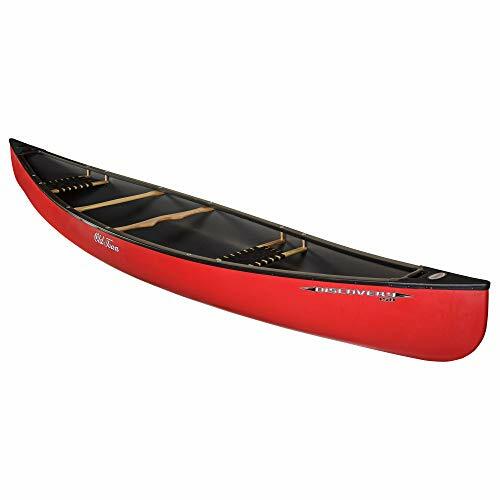 The kayak is created of high-density polyethylene which is durable, and the bottom has a skid plate to prevent damaging the bottom of the boat. There are also eight scupper holes that make it easy to remove any water that comes on board. The boat is fairly heavy, but it is a perk if you plan to fish in windy conditions. There’s a lot of storage available with pongee parks on the inner walls. There’s also a watertight area in the sent along with two smaller dry storage options. There is a paddle park on the bow and a rear tank well with an adjustable bungee. The storage space is more than sufficient for someone going out fishing for the weekend. This is a pair of sit-on-top kayaks that are built mainly for use on still water recreationally. 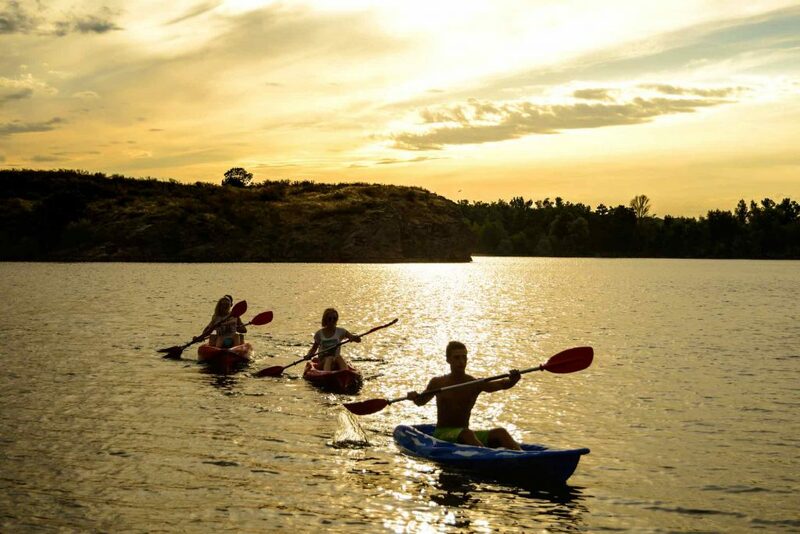 You can bring both kayaks and a friend and enjoy a day on the lake or a quiet river to have a fun time. This is a durable option that is approved by the coast guard and it provides a high level of stability similar to a more rigid boat. The Lifetime Tioga is UV resistant which means it won’t become damaged by sunlight even during long-term use. The material is welded to offer a kayak that won’t fall apart on you. It’s also puncture-resistant so the random rock or branch won’t cause problems while you’re out on the water. The backrest is comfortable and inflatable so it conforms to the shape of your body. The cockpit is spacious and gives plenty of room to sit and space to bring all your important gear along. The front of the kayak is dedicated to holding all of your cargo and offers a mesh top to keep it safe and secure. You can toss everything in dry bags, and you’ll have enough space for everything you need for the weekend. The boat handles well in all sorts of water but is best in calm lakes and rivers. The BKC UH-FK184 is a small kayak at only 9 foot 2 inches in length. However, despite the size, it has a lot going for it. It has a sit-on-top design and is ideal for solo anglers. 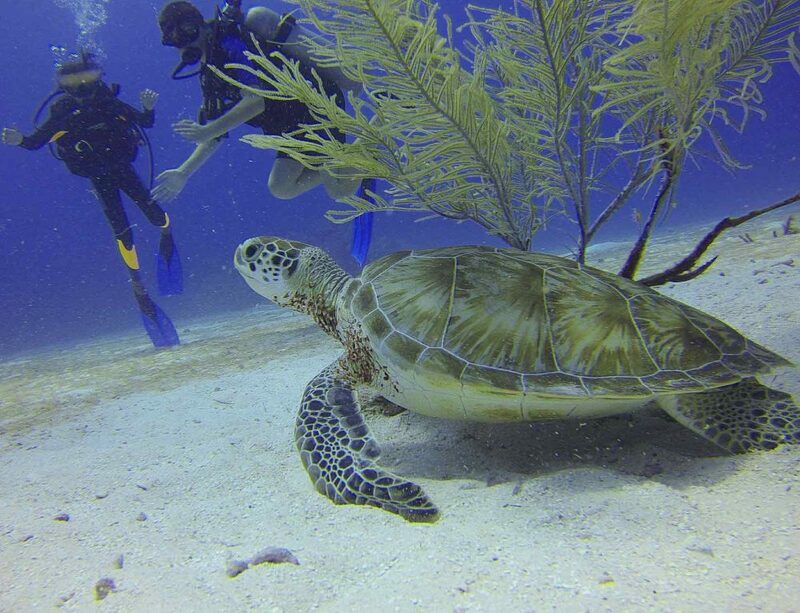 It also weighs only 45 pounds so getting it to and from the water isn’t a problem. The weight capacity is 250 so it can hold you and your gear without any issues. While you might think a smaller kayak would have little space for extras, that isn’t the case here. It has five different rod holders so you can bring along all of your favorites. Four of them are flush mounted while the final one is an articulated rod holder. This gives you the chance to have multiple lines going at once and store whatever you aren’t using at the time. There are also places to store your paddles with bungee cords, so they don’t end up in the water. This kayak has a comfortable seat even during long trips. It has a large amount of legroom and space for storage despite being a smaller boat. There is a cargo area in back for coolers or tackle boxes. There are also two small waterproof hatches to keep important items dry. The boat has four carrying handles and can easily be moved by one person. If you want a nice entry level kayak that supports adults and children, the Ocean Kayak Malibu is a fantastic option. It is larger than most other kayaks while not being bulky or heavy. That means the kayak is a dream to maneuver in and out of the water. 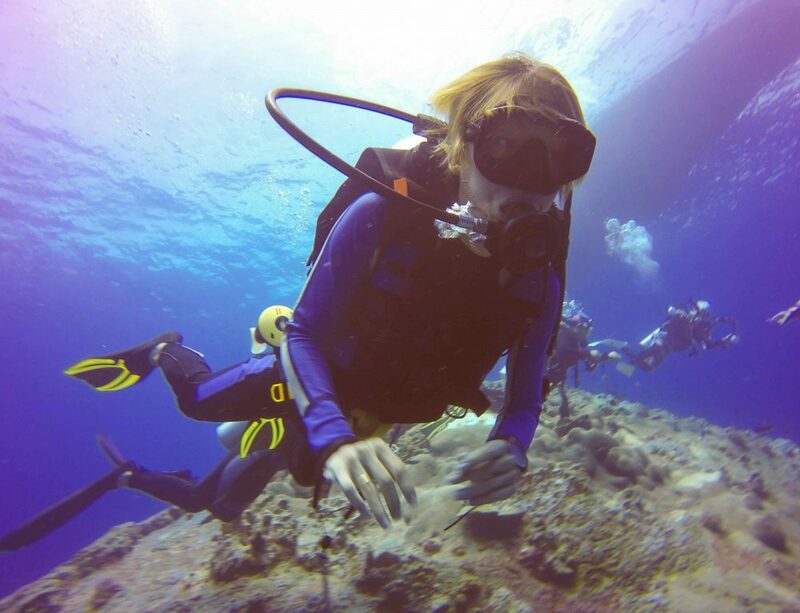 It’s also lightweight enough for children to paddle in and enjoy with their parents or other adults. It has plenty of storage for whatever you need and the speed is reasonable for a tandem kayak. This is a super comfortable kayak and great for relaxation and recreational use. The seat has multi-rest footrests and is molded for comfort. You’ll also have access to paddle holders and a cup holder for your favorite beverage. Those who want to fish on the Malibu are also in luck as there are two-rod holders at the front of the boat. It is a great way to get kids interested in fishing and paddling. This kayak can be used of those of any experience level but makes an especially great choice for those who are new to kayaking. Up to three people can fit in the boat, two adults and one child. It’s 13 feet and 4 inches long, making it one of the longest boats you’ll see out there of this type. The Vibe Yellowfin 100 is ten-foot long and geared for both those who love fishing and those who just want to recreationally paddle. It offers a durable padded seat and comes with a paddle to combine convenience and comfort into one great package. The Hero seat is slightly raised to offer extra comfort and a better level of visibility. There are four-rod holders with caps included, as well as a center mounting point that is compatible with most fishing accessories and gadgets. There are also paddle holders on each side to keep your paddle safe when fishing. There are also two tackle trays, one on each side of the kayak’s seat. It has great storage options and can hold up to 375 pounds to offer you the capacity to bring along all your gear. There are two dry storage areas with bag inserts to hold your keys and phone. The hull on this kayak is quite stable and you could even stand and fish if you wanted to. It’s great for small bodies of water, especially those that larger kayaks have trouble navigating. Due to having a wide but short hull, even beginners can easily control the boat. The Vibe Skipjack 90 is primarily used for fishing, but it can also make a fine recreational boat. The boat itself is nine feet long and 32” wide, which makes it a stable option in any body of water. The short length also gives it extra maneuverability compared to longer models, which is a perk when navigating rivers and narrow waterways. This kayak has great tracking, especially considered its size. The keel extends all the way from the bow to the stern which gives it a leg up over other nine-foot boats. That said, the speed may not be the quickest due to the length and width combined. However, for those who want to fish to paddle around, this shouldn’t be a major disadvantage. The Skipjack 90 should do well in oceans, bays, lakes, and rivers but may not be suitable for touring due to the slower speed. However, if all you want to do is paddle around or partake in fishing, this model will offer a lot of the features you want. It’s super portable and while it doesn’t fold up or deflate, it can easily fit in the back of an SUV. 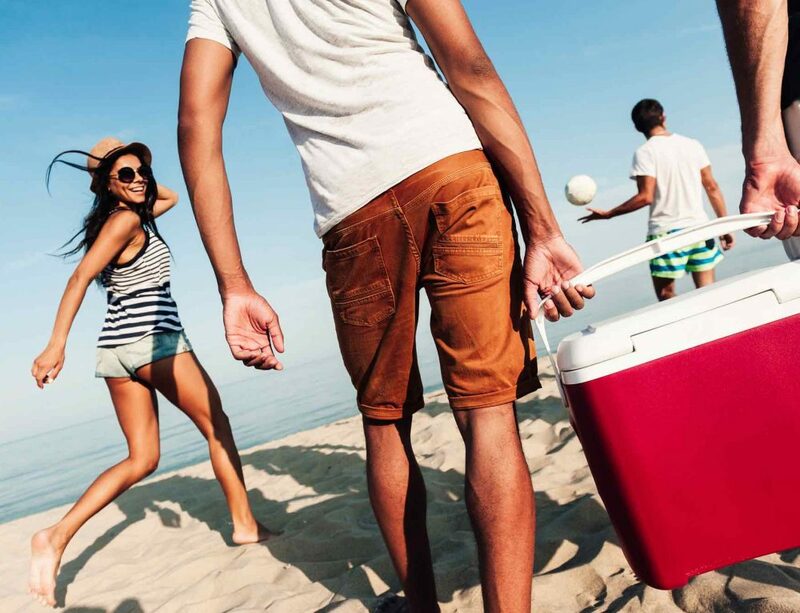 One person can carry it to and from the water without much of an issue. There are sit-on-top kayaks on the market for every purpose you could imagine. That’s a good thing, but it also means you need to be aware of what you want when choosing to purchase one. Some kayaks are designed for use in the ocean, while others are best in rivers and lakes. There are fishing kayaks with extra features to make using your rod as easy as pie. We’ll share a few things to keep in mind when selecting the right kayak for yourself. If you are going to be spending most of your time on the kayak alone, you want a solo kayak. While tandem kayaks allow you to go solo and tandem, these kayaks tend to sacrifice something to offer that extra seat. However, if you have someone who you plan to kayak with most of the time, a tandem can be a great option. Just remember that these tend to be a bit heavier and may need two people to transport them. If you’re looking for adventure and action, you might want to focus on sit-on-top kayaks that are made for river rapids and ocean surf. A touring kayak can also be a good option to explore far into the wilderness. Those who want to get some exercise or just have some fun will find that most kayaks work well for that. Speedy kayaks are especially good for burning some calories while paddling. Remember that you need the kayak to be transportable, so be sure you have the means to do so. A heavy and large kayak might need a roof rack, while a smaller one may fit in the back of an SUV. The vehicle you have available and how much you can lift with ease will also factor into the weight of the kayak you should choose. Also, consider how much storage there is and whether that meets your needs. There are a large number of sit-on-top kayaks out there but these 10 are some of the best. 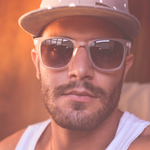 No matter which you choose, if you follow our tips and consider your needs, you’ll find the perfect option for yourself. You can trust that the models we have selected are high-quality and will last no matter what you’re doing on the water.